Today my wife and I took a walk in Singleton Park and the botanical gardens and I snapped one or two interesting views with my new camera. 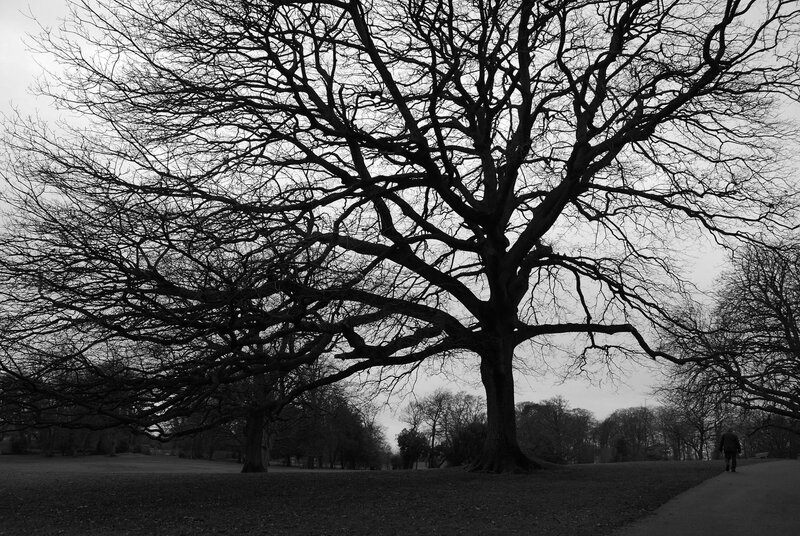 I love the dramatic silhouettes that large deciduous trees make in the winter! This image has been converted to Black and White. There are more pictures on Flickr. Previous Previous post: Jing Zing!